In Jonny Bowden’s “The Truth about Fat Loss Summit” talks, three experts weighed in on the mental/psychological and in some cases, even spiritual aspects of weight loss and there were a lot of common threads and wonderful pearls of wisdom. Because, as they all pointed out, we are not just physical beings, we are mental and spiritual beings as well, and so in order to succeed with weight loss, as in any area of our lives, we need to get fully on board with it, with every level of our being. We don’t stick to diets, according to her, because we’re adults and we rebel. We rebel against being told what to do. Being given a set of diet rules makes us feel disempowered. 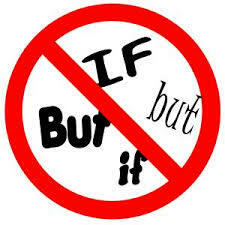 We need to BUY into the diet and believe in it; else we won’t do it for very long. 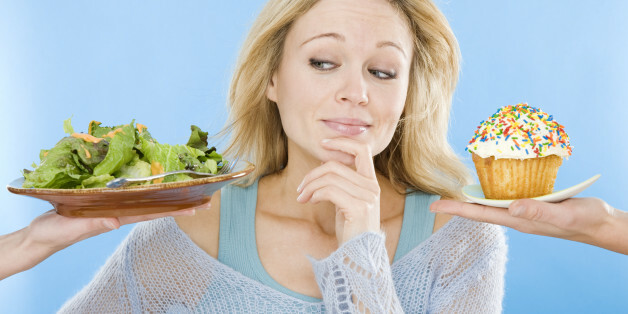 Another reason we battle to stick with a diet, according to Marc David, MA, author and coach, is that weight loss is in and of itself a stressful event for so many, particularly for women, that the stress of sticking rigidly to something creates bodily stress, elevates our cortisol, which, contrarily, drives us to eat. We need to relax with ourselves and not put too much emotion into our weight. Which translates into loving ourselves as we are, right now. On the topic of stress, all three experts agree that chronic stress, no matter what brings it about, is bad for our waistlines. It derails our willpower because when we are stressed, we’re in reactive mode. In that mode, we will reach for the comfort food and the easiest food, rather than take the time to prepare food that is nourishing. We want to stuff our faces so that it distracts us from feeling the uncomfortable emotions we may be having that are stressing us out. A big key to success with any weight loss plan, they all agree, is managing stress. Stress management is a whole topic in itself, but when it comes to diet, try not to eat or make food choices when you are stressed. That is always the worst time. Do your best to wait until you are in a more relaxed frame of mind. Not only will you then make a better food choice, but you won’t be eating so fast either. Marc David made the excellent point that if we eat too fast, it stresses the body. According to him, we should always aim to be slow eaters. That way, our metabolic processes can function optimally and digest and assimilate the food properly. Slowing down whilst eating also allows us to eat mindfully, another important point that all three experts agreed upon. Being present and mindful whilst eating allows us to truly enjoy the food, and allows us to be in touch with our sensations of satiation and/or discomfort if we overeat, or eat something that doesn’t agree with us. In fact Dr Elizabeth Lombardo made the excellent point that if you are going to cheat (which we ALL do from time to time, we are all human) then do it mindfully. Stop and truly enjoy every bite of that donut/cake. That way, we bypass the cycle of guilt and shame, which leads to more bad eating, or even giving up on our diet. Rather truly enjoy the one “forbidden” food and move on. The number one problem most of us have is that we have too many negative emotions around diet and our weight, and our inner critics are just so harsh on us that if we do slip up, we then either beat ourselves up mentally about it or we throw in the towel. Rather, according to Dr. Lombardo, we should use those inevitable “failures” to learn from. Learn what triggered it. Learn how we felt after we did it and learn how to better deal with similar situations in the future. What about people who have tried every diet out there and found nothing has worked? For these people the answer may lie in their past, if they were sexually abused. Marc Davids has worked with thousands of clients who were holding onto their weight as a means of protection (mental and physical) because of past sexual abuse. He says it’s a very real phenomenon, requiring emotional healing after which, weight loss usually happens. Of course, we also need to look closely at why we want to lose the weight. Or as Cynthia Pasquella asks “What are you really hungry for?” The answer for most of us, it turns out, is love. We usually believe that we are only deserving of love if we are slim. The solution is to love ourselves anyway, regardless of our weight, because we are far more than our bodies, far greater than this “flesh suit” that we wear daily. Who we are is NOT determined by what we weigh. Ultimately, the ‘why’ for losing the weight has to become stronger than the ‘buts’, according to celebrity psychologist Dr. Lombardo. As she says, if you were guaranteed to get $10 million if you stuck strictly to a diet plan for three months, do you think you would do it? Hell yes! In other words, you need to REALLY want to lose the weight over and above any excuse. You have to want to do this FOR YOU and not because your spouse wants you to, or because society thinks you should, or any other external reason. When your reason (motivation) is compelling enough, that’s when you will find the determination to do what you know needs to be done.